Audit, tax and consulting firm RSM has appointed Mike McDonald as an associate director in Leeds to strengthen its regional and national Technology & Management Consulting (TMC) service line. Mike is a leading programme manager with over 18 years project and operational experience helping businesses to implement complex IT projects to support commercial aims. His experience combines technical software development expertise with project management, change management, data migration and ERP experience, latterly with Microsoft technologies particularly Dynamics AX. 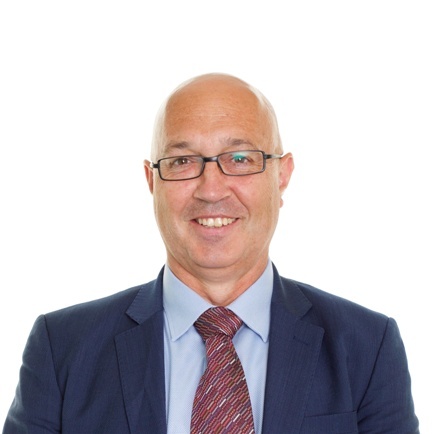 He has worked with a number of large brands including AMEC PLC, Hewden Stuart, BPP, Hunter Boots, Charles Tyrwhitt and Fenwick Department stores; and brings a range of retail, professional services, transport, construction and education sector expertise. In his new role, Mike will work closely with partner Roger Lovis who has overall responsibility for RSM’s ERP services, to deliver major progammes across both Microsoft and NetSuite technologies with a growing portfolio of clients. Roger Lovis, technology and management consulting partner at RSM, said: “Mike’s appointment is another key milestone for our national capability as we continue to invest in our market proposition. “He brings a range of IT-driven change experience and is well-placed to help businesses in Yorkshire and the North East to apply digital technology to support growth. Mike McDonald, technology & management consulting associate director at RSM, said: “I’m delighted to have joined the team at RSM, and at such an exciting time. RSM’s latest senior appointment comes off the back of a series of strategic plays that are enabling the rapid growth of RSM’s TMC team. These include RSM’s recent acquisition of 81-strong Crewe-based NetSuite specialist FHL propelled RSM UK to become the largest provider of its kind in Europe; RSM US’ agreement to acquire Explore Consulting, a leading regional US NetSuite Solution Provider, and; RSM UK’S move to establish a permanent team presence in Manchester to broaden its geographical scope at the start of this year. Mike’s appointment also follows RSM UK’s “Regional Alliance Partner of the Year – EMEA” award in April which recognized, for the third year running, the teams track record of excellence in delivering value to clients through the deployment of NetSuite’s integrated cloud business system platform. The Financial Times also named RSM UK as one of the UK’s leading management consultants for IT implementation services in its annual Statista Report 2018. RSM’s national Technology and Management Consulting team consists of more than 100 people providing clients with advice on IT and Digital strategy, system selection and implementation, as well as complementary skills in finance consulting and business change. RSM is a strategic partner of Oracle-NetSuite and Microsoft Dynamics.